This year marks the first time that Apple is a sponsor of the Super Bowl; however, the company is not sponsoring the game itself but rather the Super Bowl 50 Host Committee, reports Yahoo. The host committee is responsible for everything from public transportation to logistics to financing. This year the Super Bowl was financed privately, raising $50 million from sponsors including Apple and Uber. So why would Apple want to sponsor the committee and not the game itself? Committee CEO Keith Bruce believes the appeal for Apple is threefold: local Silicon Valley cachet; a suite at the game; and the charity aspect. While having a suite at the game is nice and raising money for charity is great, Yahoo suggests that it's Silicon Valley cachet that may be the main reason behind the sponsorship. Notably, the committee is not allowed to have more than one sponsor in the same industry; however, they are allowed one industry exception. 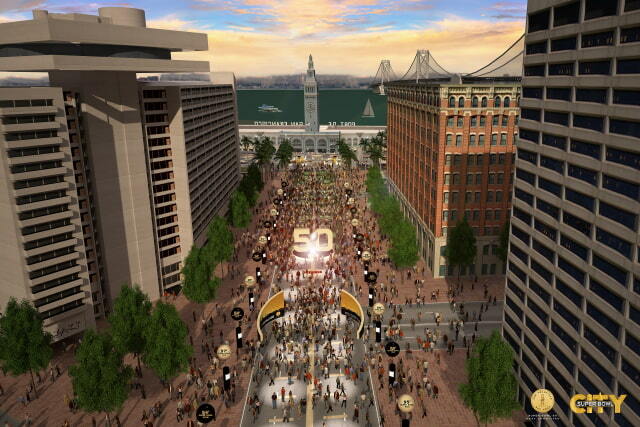 In San Francisco, that exception is tech, meaning that Microsoft, Google, and HP are also partners of the Super Bowl 50 Host Committee, along with Apple.